Most people consider RC Trucks to be just a mere form of entertainment for children. However, there’s really no age limit when it comes to RC trucks. That is why many (adults as well) consider them to be a decent hobby. As with any other hobby, getting started is often the most difficult part. Usually, the things that you have to deal with as a beginner include understanding and choosing which vehicle type suits you the most. Moreover, you have to decide whether you want to use your RC trucks for racing or just casual driving. The main purpose of this text will be to serve as your guide and break down certain terms and concepts that you should get acquainted with. An important thing to know before moving on to various vehicle types is that there are two main categories. You can either purchase a Ready-to-Run or opt to buy a model kit and build it yourself. Ready-to-Run cars and trucks often come pre-built. That means that you can take them out of the box and use right away. In some cases (depending on the model that you buy), you’ll have to attach the body and the tires. Other than that, you’re pretty much ready to go. Ready-to-Run vehicles are a preferred choice among many beginners. On the other hand, if you’re someone who wants to take things into your own hands, you can buy a model kit. 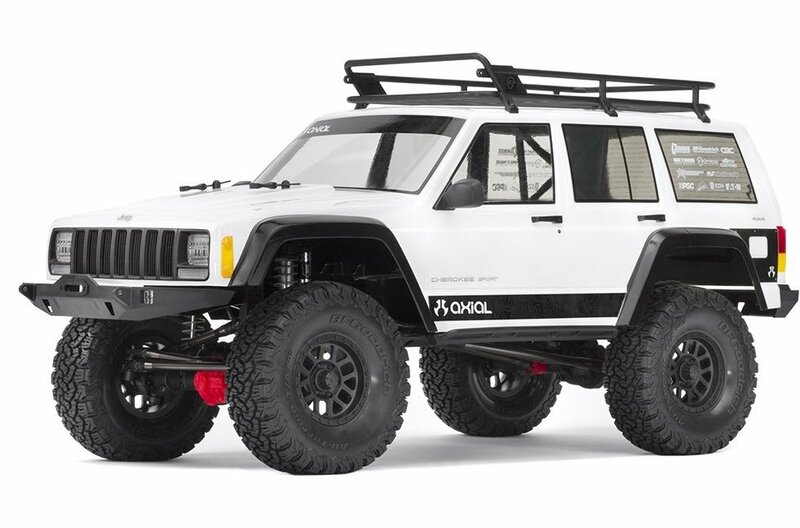 RC model kits do not come with everything that you need in order for your car/truck to work. You will have to assemble the vehicle from start to finish (that includes the frame of the truck, the body, tires, paint, stickers, etc.). That means that you’ll have to buy all the necessary components yourself. It gives you an opportunity to personalize the vehicle and make it more unique. Model kits are usually bought by experienced people who have been in the hobby for quite a while. Now that you’re familiar with the basic types of RC vehicles, it’s time to discuss their subcategorization. Based on the track they are intended for, the vehicles can be divided into 8 subtypes. They can either be on-road or off-road (both are self-explanatory). Short Course Trucks – People often use them in Off Road Racing Championships. These trucks (SCs in short) have a narrow body construction which covers the tires and gives them the ability to glide during the long jumps. Road Cars – Road cars are designed to work with smooth surfaces such as asphalt and concrete. The reason for that is the lack of ground clearance. Monster Trucks – Monster Trucks are the most common type. They have good suspension and bigger tires. Their focus is not on speed but on compatibility with different ground textures and types. Rock Crawlers – This car type is a modified version of a Monster Truck. Their components have an extreme level of suspension articulation. That allows them to go over any obstacle effortlessly. If you want to know more about rock crawlers, be sure to check out 10trailtrucks complete guide. F1s – They resemble their much bigger counterparts in every sense. That means that you can’t use them for off-road racing. They work only on tracks and smooth surfaces. Rally Cars – An interesting thing about Rally Cars is that they’re trying to mix both off-road and on-road racing compatibility into a single vehicle. Buggies – They work well on dirty surfaces (such as dirt tracks), but do not fare well against surfaces such as grass. The wheels are exposed, and they usually have a small body. Stadium Trucks – Similarly to Rally Cars, Stadium Trucks try to bridge the gap between Monster Trucks and Buggies. They use smaller wheels (like Buggies) but have a Monster Truck body on top of them. It goes without saying that the model you’ll end up purchasing should match your preferences. However, you should pay attention to these points when purchasing an RC car/truck. Scale – RC cars are available in many sizes, ranging from small and mobile cars to massive trucks. You’ll need to decide whether you prefer speed over structure or vice versa. Battery Pack – The durability of the batteries that you use determines how long you can drive. When buying an RC vehicle, try to get a stronger battery charger. You can completely avoid recharging if you purchase either nitro or a petrol RC vehicle. Remote Control – Remote control plays a huge part, so it’s important to buy one that feels comfortable, has good button placement and good range. All in all, these are just some of the basics that you should know. There’s a lot more to this hobby that meets the eye. There’s a variety of vehicle to choose from, and each of them has a specific design that goes along with certain surfaces. If you’re still struggling to decide which vehicle is the best entry one, then perhaps you can try out a Rock Crawler. Many people consider it to be a good beginner RC so it might suit your needs more than you know.